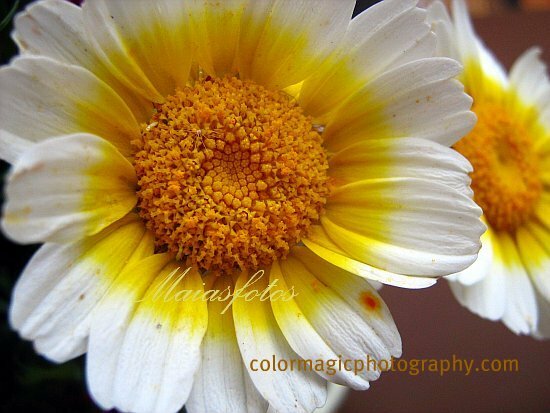 Welcome to Macro Flowers Saturday #65! Let's see your beautiful weekend flowers! 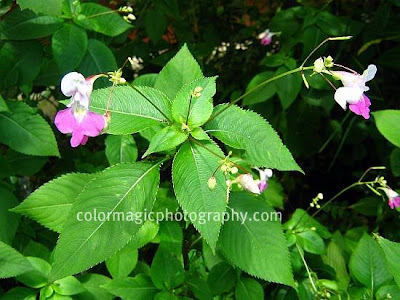 Impatiens balfourii-Kashmir balsam is a member of the huge impatiens family, frequently called, touch-me-not flowers. They are native to the mountainous regions of Kashmir, brought to Europe as garden plants. Now they grow wild along rivers and sites with increased humidity. 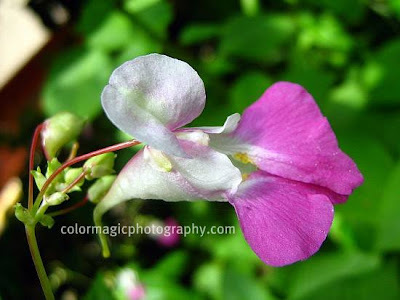 Unlike its garden variety, the Impatiens Balsamina, these plants grow much taller (over 100cm tall) forming large colonies mostly along rivers and places with increased humidity. Its small flowers are very beautiful with a white sepal forming a thin spur. The other two petals are lavender or pink, extending forth from the mouth. 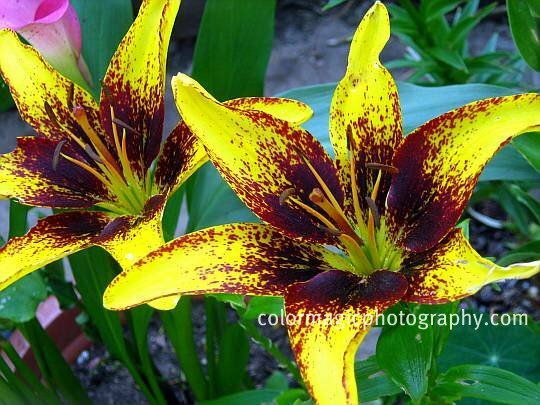 I took these photos in our backyard but they look more stronger when growing wild. Newcomers, please link back from your MFS post to my blog using the yellow code in my sidebar or a button. If you are new to memes, it is a good idea to read the info on Macro Flowers Saturday page (from the main menu). Any entry with some other backlink than this blog's home page will be deleted. You can come back any time after you correct the link. This list is closed. Visit the pages of this week's participants. 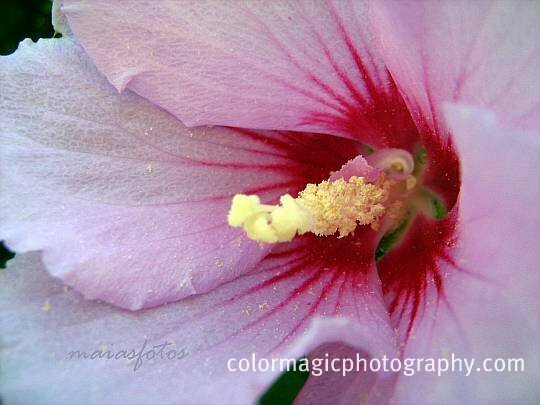 Welcome to Macro Flowers Saturday #64! Let's see what do you have to share this weekend! 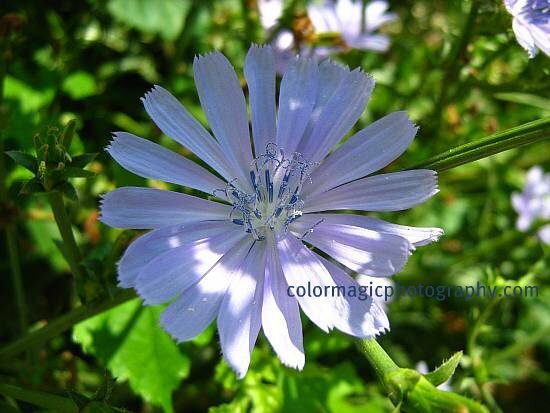 This lovely blue wildflower is the chicory (Cichorium intybus), the well known coffeeweed. Though native to Europe, it lives as a wild plant on roadsides in many parts of the world. I'm sure yo all know it, if not, your grandparents do. 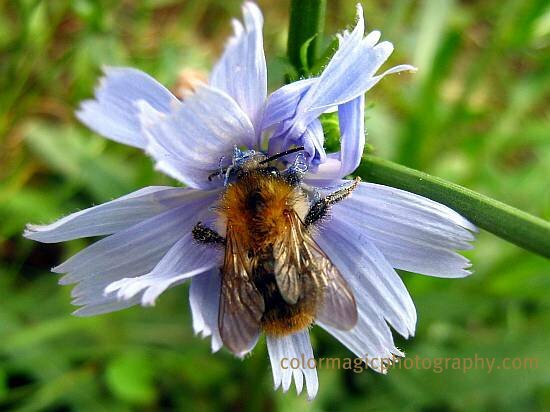 Root chicory has been in cultivation in Europe as a coffee substitute and additive in darker times, during economic crises like after World War II. 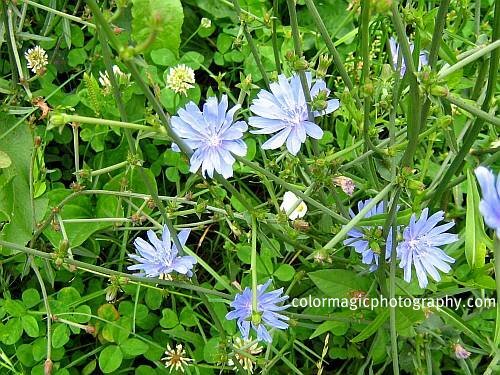 Wild chicory leaves have a bitter taste and are appreciated in certain cuisines for it in Italy, Spain, in Greece and Turkey as well. The leaves lose from their bitterness by cooking and sauteed with garlic and other ingredients, the resulting greens might be combined with pasta or served near meat dishes. Please don't link to my individual posts, you are misleading new participants. Garland chrysanthemum-Chrysanthemum Coronarium, for some is just a pretty flower but for many, a precious vegetable. Crown daisy, on its other name, is a leaf vegetable in the genus Chrysanthemum, native to the Mediterranean and East Asia. The plant is not just rich in minerals but it contains various antioxidants in its stem, leaf and root tissues. This popular green vegetable is also known as Chop Suey Greens or shungiku in Japan. 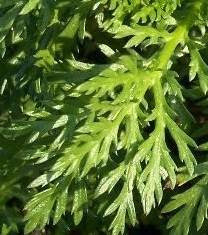 It is widely used in soups and stir fry dishes or added to green salads in China, Korea and Vietnam, as well. See also a pink, pompom chrysanthemum. I can't wait to see your beautiful summer flowers! I hope you have lots of beauties for today's entry. 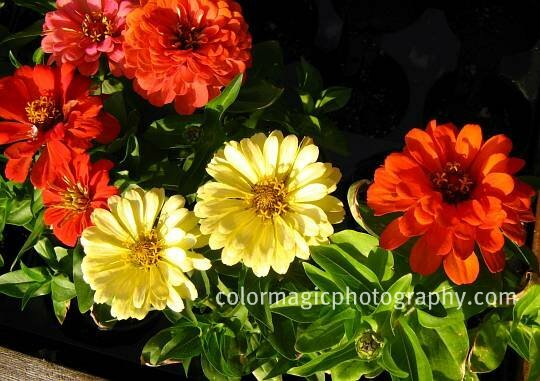 Zinnia flowers are one of summer's most strikingly colored flowers. Butterflies seam to appreciate them too for their pollen. Though they are not the most showy flowers, they are definitely the most drought tolerant of all summer blooms. 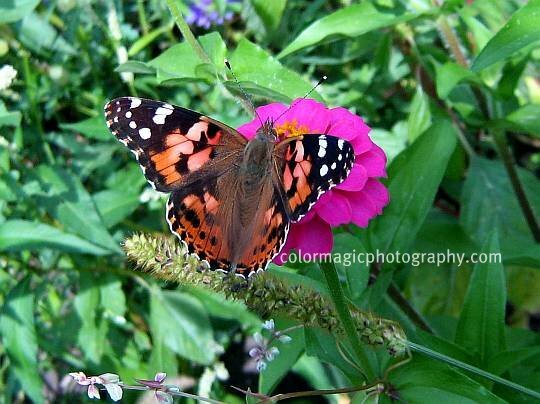 I spend some time at the garden center among these zinnia flower to capture a butterfly with not much success. They don't stay put for a moment. What is flowering in your garden in this hot summer month? 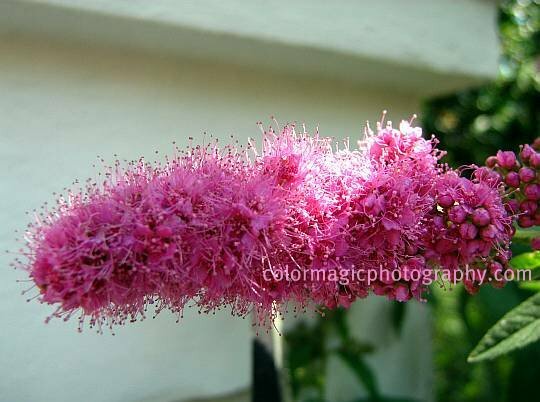 Another summer flowering shrub is the Spiraea x billiardi or Billiard Spirea. We have hedges of this hardy deciduous shrub everywhere on the streets, near the sidewalk but I never paid attention to its flowers till now. 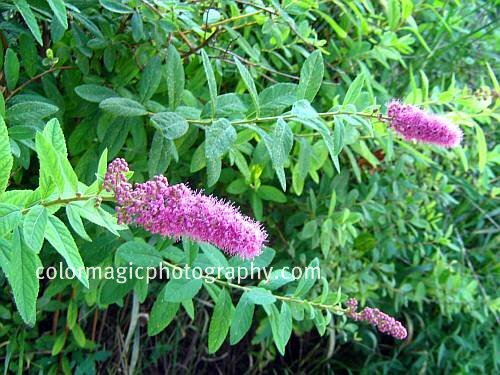 The tiny flowers are beautiful, pink-purple colored, on 10-20cm (4-8 in) cone shaped panicles. With their long stamens the flower stems looks like bottle washer brushes but on a closer look they are really beautiful. Billiard Spireas flower from June to August doing well in full sun or part shade exposure. These summer blooming shrubs grow to a height 1.5 m - 2 m with the same spread and they are decorative kitchen garden plants or flowering hedges, when planted in groups. Spiraea x billiardii 'Triumphans' is a hybrid between Spiraea douglasii and Spiraea salicifolia. Rose of Sharon - Hibiscus syriacus started flowering. These late summer flowering shrubs are very popular ornamental plants, esteemed for their large, pink, white, lavender and purple flowers. Though the flowers are very short lived, Rose of Sharon shrubs are prolific bloomers flowering over a long summer-autumn blooming period, when not much else is blooming. 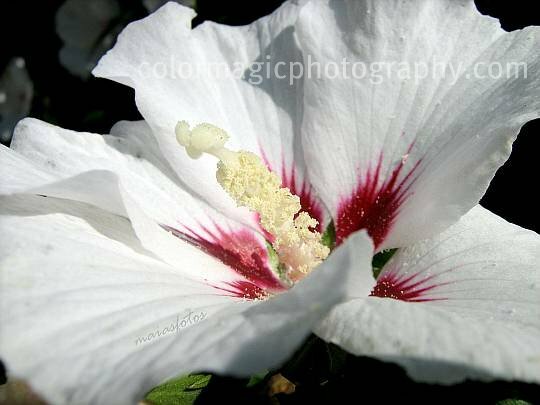 Like all hibiscus types, Rose of Sharon flowers bear a large stamen packed with pollen, to the delight of bees. Rose of Sharon bushes are very hardy, almost carefree, drought-tolerant plants. All they need is a sunny sight or part shade (afternoon shade) and watering once in a while. Pruning is necessary especially during its first two seasons, to shape the shrub as to your preference. In late winter you have to cut it back hard, don't worry about the dears in your zone, they will do a useful job for you. Being late summer bloomers, Rose of Sharon shrubs take most of the spring off, so don't worry about you shrub being dead. In our parts they usually leaf out in May. As beautiful as the flowers are, Rose of Sharon shrubs can escape very fast and become a nuisance. The shrub is a prolific seed producer, reproducing itself each year. New seedlings sprout from seed, taking over the garden, killing other plants and producing much damage. A two years old, established shrub has tap roots extending deep in the ground, making very difficult to remove or even kill the plant. Where to plant Rose of Sharon shrubs? 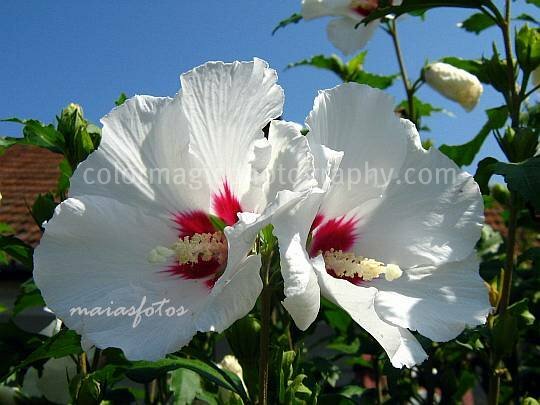 Rose of Sharon or Althea rose grows 2-4m tall working well as a beautiful natural fence, an ornamental privacy screen, a colorful living wall with great texture, when planted in a row. The shrubs can be trimmed for a neat, colorful hedge as well. Never plant this shrub in your flower garden or near your house. 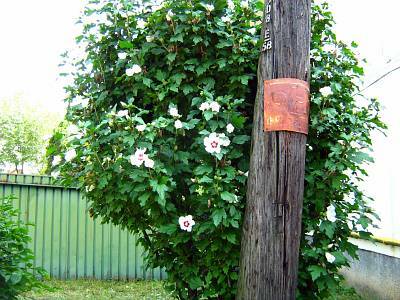 A few years back we planted a row of Rose of Sharon at a distance of about 3m from the house and neglected pruning. In no time the plant reproduced itself till the windows, new seedlings coming out even through the crevices of the concrete sidewalk. It was impossible to pull them out, so we had a hard time to cut off all of the limbs of the plant with a hand saw. This aggressive plant kills even the power pole, if left alone. Still I admire its gorgeous flowers on other peoples' property. 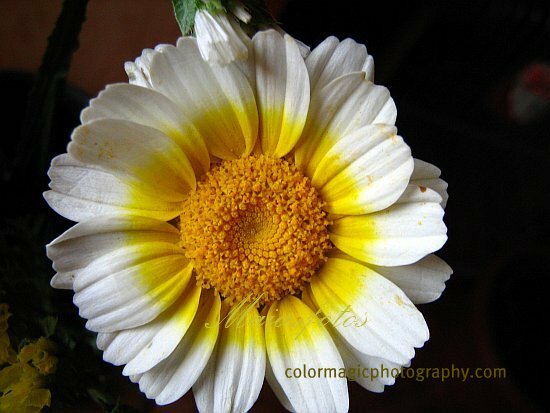 Welcome to Macro Flowers Saturday #61! 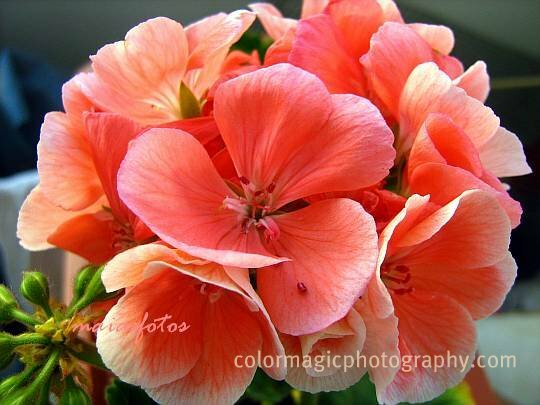 This is my pink geranium that I've cut in pieces a month ago. Though summer is not the right time to propagate plants, I wanted to fill a window box with geraniums. I was lucky, all the cuts survived and they are blooming like nothing happened. Here is a red geranium and a cranesbill geranium too.